Please read this page completely for information on how to pass the TXDSP class A or B CDL written tests the very first time at your local TXDPS driver license office. These test question & answers are exactly what you will see at your local TXDPS office! The TEXAS COMMERCIAL VEHICLE OPERATION is the very first test you will have to take at the TXDPS driver license office. The TEXAS COMMERCIAL VEHICLE OPERATION test is the first test the TXDPS driver license office will allow you to take and it is required to get a class A, B or C CDL permit. The TEXAS COMMERCIAL VEHICLE OPERATION test must be taken before being allowed to take the COMBINATION Vehicle test, which is the second test, required for obtaining a class A Texas CDL permit. The TEXAS COMMERCIAL VEHICLE OPERATION test is one of the hardest tests you can take. There are 100 possible test questions that can be asked on the TEXAS COMMERCIAL VEHICLE OPERATION test. There will be only 20 questions chosen out of the 100. You must pass with getting a minimum of 16 right, 80% or higher in the score. We see people make many unnecessary trips back to the driver license office trying to pass the TEXAS COMMERCIAL VEHICLE OPERATION test studying from the CDL handbook or trying to pass with the free practice tests online failing time and time again. Wasted time off work, money lost from not being at work, bosses frustrated you missing work, money lost on fuel and just the aggravation of having to stand in line many times makes it worth using our tests to pass the very first time. Why take our online CDL practice tests? The old saying is “practice makes perfect” and taking the CDL practice test is a great way to prepare for taking this important test. The actual Texas CDL exam can be quite difficult, thus, taking time to undergo studying with the actual Texas CDL test questions & answers will make sure that you know your information before going to the Texas TXDPS office. There is nothing more frustrating than going to the TXDPS office, waiting in line, testing and then miss passing the test by one question. There is nothing like scoring a 100% or close to a 100% on a test the very first try. Most all people learn best in a hands on situation. Practicing the actual real Texas CDL test questions that will be asked on the TXDPS computer is one of the best ways that you can prepare for the CDL testing at your local TXDPS office. If you think about it, most skills are learned by actually doing them, not by reading a book or talking about them. Repetition is a key part of learning, so if you are repeating the test over and over again with the exact CDL questions & answer you will see on the computer at your local driver license office this will greatly increase your ability to learn the material quickly that you need to know. Practicing the actual CDL questions & answers will make it easy to pass the CDL test the very first time. Pass the CDL test quick with our CDL test questions & answers. These are the actual CDL questions and answers you will see when sitting down at the TXDPS drive license office. Don’t waste time studying tests that aren’t the real Texas CDL tests! WARNING! Don’t be fooled by other websites that advertise Texas CDL online testing. They are not the actual CDL test questions you will see on the computer at the TXDPS office. Our CDL tests are the exact same Texas CDL tests questions & answers you will see on the computer when doing your test at the TXDPS office. We have the actual 5 Texas CDL Written Test questions and answers to all of the 5 Texas CDL written exams. We also have all of the endorsement tests to include the Hazmat, Tanker, Doubles / Triples, Passenger & School Bus. There is nothing like knowing the questions & answers. It's like deja vu when you take the test at the TXDPS driver license office. You will pass with our study materials!!! In order to learn how to take a CDL license test, you need to find reliable real CDL test questions & answers. We have the actual Texas CDL questions & answers to all of the written CDL tests at your local TXDPS driver license office. Constantly updated to reflect the current, actual 2016 Texas DPS CDL tests. Before you take your CDL license test, you will want to review your CDL information. All TXDPS testing centers offer a CDL booklet for you to study. You should read the Texas Commercial Vehicle Handbook on each subject before practicing testing a couple of times to learn the information, then practice what you have learned on our online testing. Depending on how well you did on your first few online testing practices, you may want to redo the test 10 to 15 times after reviewing the information. This will help you to remember what the correct answer is. Our CDL testing program will keep making you review the questions that you got wrong to help yourself learn what the correct answers are. Keep in mind that many practice tests online that are free and nothing good is free. You will have to pay for access to the real Texas CDL test questions. Because of this, you should get comfortable with taking the test before going in for the real thing at your local TXDPS office. Using our online testing, you will not waste your time, time off work, miles on your car and money on fuel taking a test that you aren’t ready for. There is nothing more frustrating than going into the driver license office waiting a long time in line and failing missing 1 to many questions. To begin you will have to obtain a CDL Permit. The following two tests,Texas Commercial Vehicle Operation and Combination, are the very first two tests you will have to take to get a class A Permit. 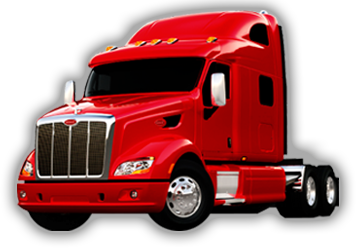 You will take Texas Commercial Vehicle Operation first whether you are getting a class A, B or C CDL Permit. To get a class B or C CDL permit you will only need to take one test, the Texas Commercial Vehicle Operation. If doing a class A CDL you will take the Combination written test second to obtain a class A CDL Permit. Depending on whether you are wanting a class A, B or C CDL license you will need to pass one or if not all of these written tests at your local TXDPS office before scheduling a CDL road test. You must take these written tests in this order at the TXDPS office. There are 725 questions total that can be asked on all of the class A CDL tests. Our testing program is set up just like your local TXDPS computer. When you practice with our online testing these are the exact CDL questions and answers you will see when you sit down to take the CDL tests at your local TXDPS office. Again, our CDL test questions and answers are exactly what you will see, word for word, at your local TXDPS driver license office. Once you obtain a permit with passing the Texas Commercial Vehicle Operation & Combination tests then you may take any of the following tests in any order at any TXDPS office. SPECIAL NOTE: You do not have to take all of the written tests at the same TXDPS office. You may take written tests at different locations. You can also take a road test at a totally different TXDPS office where you did not take your writtent tests at. The TXDPS have all of your tests on computer and every driver license office in the State of Texas can see the written tests you have taken and your test scores. It is a good idea to get a receipt for each written test taken. The TXDPS driver license office has a new computer system that can generate a receipt for each written test you take. You have to ask for the receipt from the TXDPS counter employee assisting you. If the TXDPS counter employee does not know what you are asking for or how to find the receipt, ask to speak to the TXDPS unit supervisor. ALWAYS get a receipt for each test you take. Remember the TXDPS employees are goverment workers who make mistakes daily. You do not want to take a test and it get lost from a lazy TXDPS worker by not placing the completed test into the TXDPS system on your driver license showing being not completed under your license number. We recommend once you are scoring 90% or higher back to back a minimum of 10 up to 15 times in a row on our website's online testing program, on one test subject, then you are ready to take the test at your local TXDPS office. You must score 80% or higher at the TXDPS office on their computer to pass. With our online testing you will not need the Texas Commercial CDL Handbook from the driver license office. However if you choose to get the CDL handbook from the driver license office they are free. Click here to access the online Texas Commercial CDL Handbook. For a class A CDL you will take five (5) written tests on the TXDPS computer with information gained from these books to get your basic Class A CDL. Each test will consist of a certain number of multiple-choice questions. You must pass with 80% or higher score. I have included a number of questions per test with a number of how many you need to get right in order to pass. You will have to take the State Rules & Combination test first before taking any other tests, study these first. Then you can take the tests General Knowledge, Air Brake or Pre-Trip in any order once you have your permit. You may want to get endorsements on your basic CDL license. I recommend all three 1 to 3 to make you more valuable to perspective employers. This information can be found in the Texas Commercial CDL Handbook. Studying Online is Fast & Effective - preparing for the Texas CDL written tests has never been easier. You can practice online anytime and anywhere, at your own convenience. We have gone through the Texas CDL handbook and developed hundreds of possible questions and answers. Every question comes with feedback, so you will immediately know the correct answer. We update our practice tests regularly to ensure the most accurate CDL test preparation possible. Every year thousands pass their Texas CDL written tests with our online CDL test preparation. Our Texas CDL practice tests give you the knowledge and confidence you need to pass the Texas CDL written test your first time. - Any single vehicle, or combination of vehicles, that is not a Class A or B, but is made to transport 16 or more passengers, including the driver, or is transporting material hazardous materials. Examples of CDL Class C vehicles include: coach buses, shuttle vans, or school buses. You need to pass the general knowledge test. Depending on what vehicle you plan on driving you may have to take the air brakes test, passenger test, and school bus endorsement. You need to pass the following test for a class C CDL license.